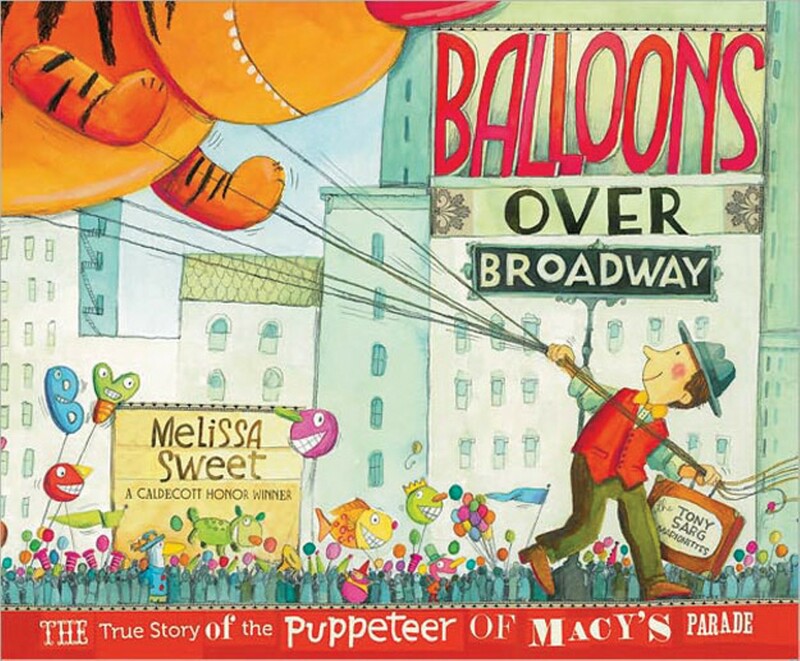 Book Review: Balloons over Broadway: The True Story of the Puppeteer of Macy's Parade | The Librarian Likes | Kids VT - small people, big ideas! Pickett's summary: During the annual Macy's Thanksgiving Day parade, the skies of New York City fill with giant helium balloons. Have you ever wondered who created these balloons and how they are made? 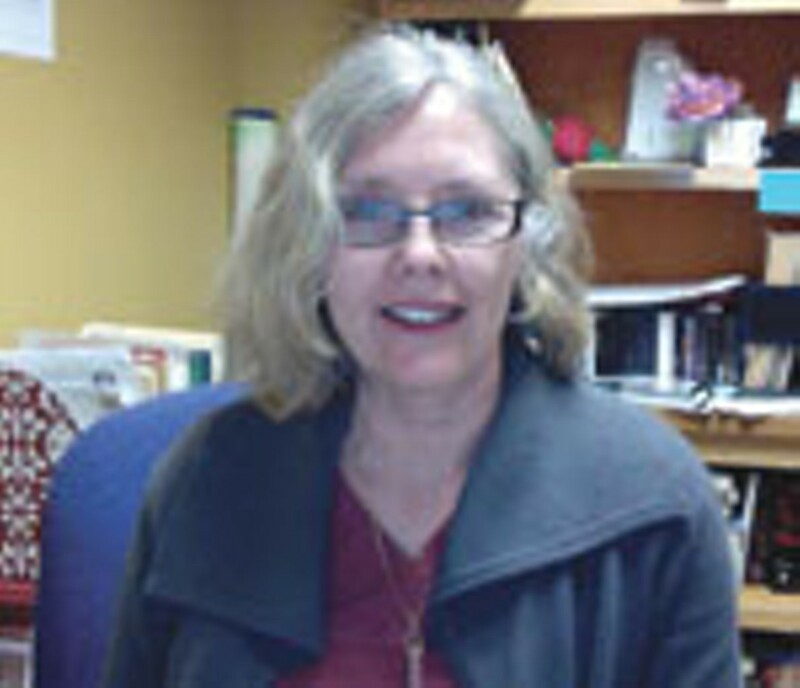 Award-winning author and illustrator Melissa Sweet tells the colorful story of Tony Sarg, the man behind the balloons. Sweet's eye-popping watercolors, fanciful scrapbooking and photo-collage details make this nonfiction book perfectly vibrant. Interesting fact: Sarg's first air-filled rubber bags were steered down the street at eye-level. But soon the parade grew so popular (and crowded) that Tony had to figure out how to design the balloons so people could see them from farther away. Why kids will love it: Sarg's indomitable curiosity, his engineer's know-how and his forever-young imagination jump off the pages of this book. "The Librarian Likes" features a different librarian and book each month. Got an idea for a future LL? 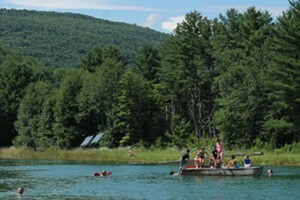 Email us at ideas@kidsvt.com.